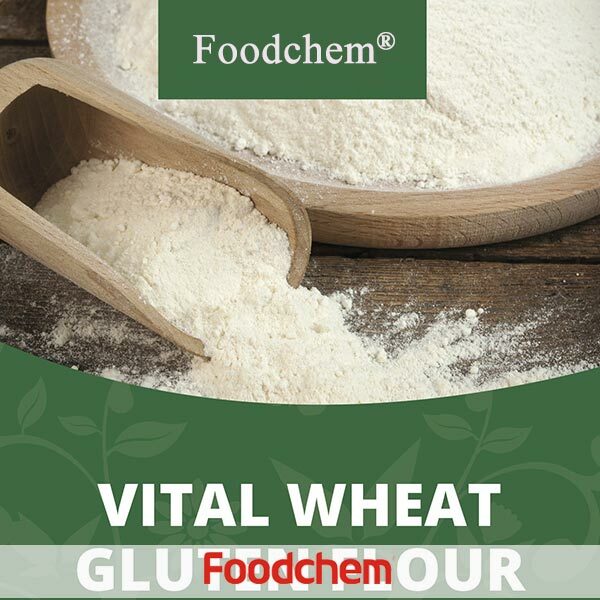 Vital Wheat Gluten is one of the popular food additives and ingredients in most countries, As a professional Vital Wheat Gluten supplier and manufacturer, Foodchem International Corporation has been supplying and exporting Vital Wheat Gluten from China for almost 10 years, please be assured to buy Vital Wheat Gluten at Foodchem. Any inquiries and problems please feel free to send emails to us via sales@foodchem.cn, we will reply you within 1 working day. Foodchem is an ISO2008 9001 certified company, as for Vital Wheat Gluten, we can offer HAPPC, KOSHER, HALAL Certificates, ect. 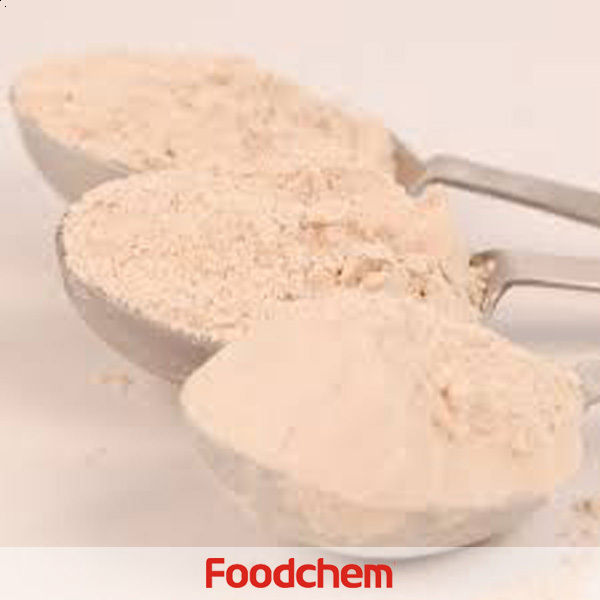 Foodchem is both manufacturer and trading company, we are Vital Wheat Gluten distributor, at the same time, we are manufacturer of other products. 3, What is the Min Order Quantity of Vital Wheat Gluten? Different products have different MOQ, for Vital Wheat Gluten, the MOQ is 500kg. 4, What is the price of Vital Wheat Gluten? 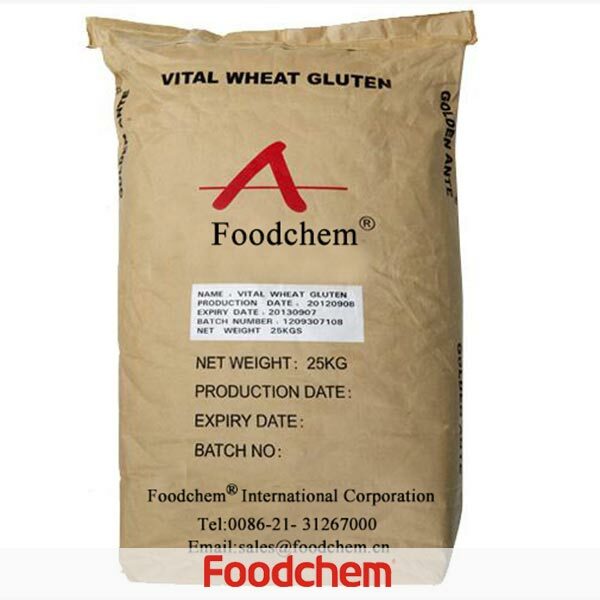 Foodchem is a famous supplier and manufacturer of Vital Wheat Gluten in China, and has been corporate with many Vital Wheat Gluten suppliers for several years, we can provide you with cost-effective Vital Wheat Gluten. We can guarantee to reply your inquiries of Vital Wheat Gluten in less than 24 hours in working days. FOODCHEM A : Thank you very much for the comment, our sales manager will contact you soonest. oscar naranjoQ : Hello, i'm interested in your Vital Wheat Gluten protein 75%, can you export to Colombia? FOODCHEM A : Yes, we are able to export vital wheat gluten 75%,please feel free to contact us if you have any question, we are always ready at your service. FOODCHEM A : Well,glad to serve you,as far as we konw,corn,soybean,rice,pea potato are free of gluten,and we are able to supply corn starch,soy dietary fiber,rice protein,pea protein,pea strach,potato starch,modified strach,etc.Please feel free to contact us if only you are interested.Looking forward to your reply. Anuar Rame Q : We are a company located in México manufactures pasta, flour, cookies and rice.We have an approximate monthly consumption of 50 TON of gluten.We are requesting you esteemed company to send us the price for that volume and your technical data sheet as soon as possible. FOODCHEM A : Well,thanks for your inquriy, our sales manager has send your our product data sheet and the price as you have required,please kindly check.Looking forward to your reply.